The Noise Of Zyprexa is a painting by Jon Baldwin Art which was uploaded on January 14th, 2010. 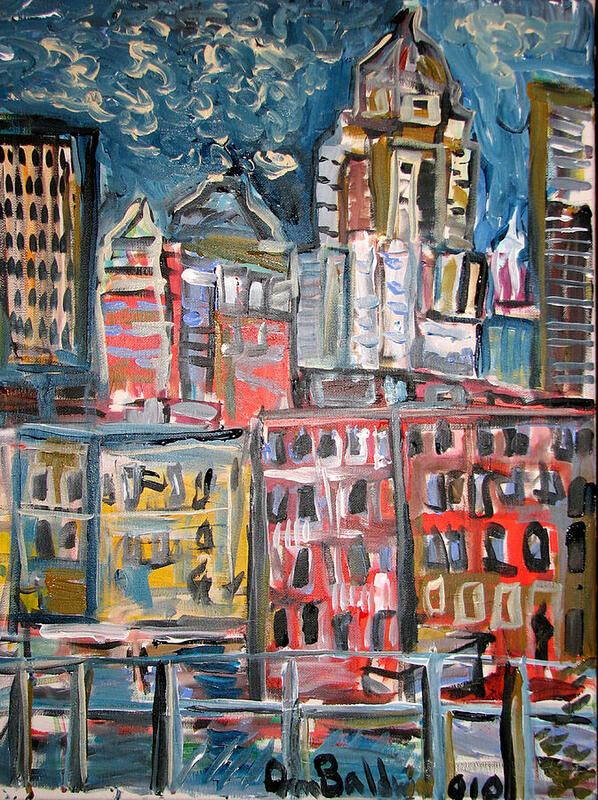 This Painting is from my series of Cityscapes in Des Moines, IA. Each one has a different flow and feel. such energy in your cityscapes! Very nice, Jon. Love your style of paintings.